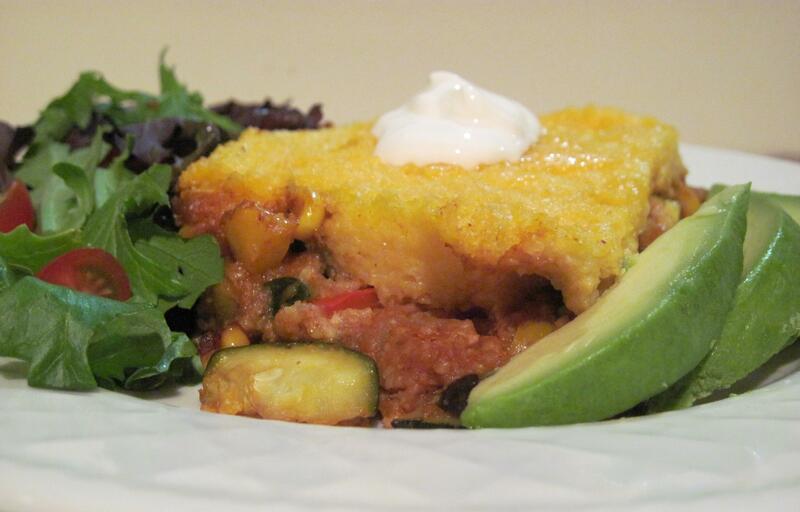 This is a casserole-style, tamale-inspired dish, fusing fresh vegetables with earthy spices and a mild polenta crust. This recipe is based on one I came across in Vegetarian Times (view it here), but I have tweaked it some (namely the filling and proportions) to make it more veg-centric and gritty. 1. Heat oil in large sauce pan over medium heat. Sautee garlic and onion for 5 minutes. 2. 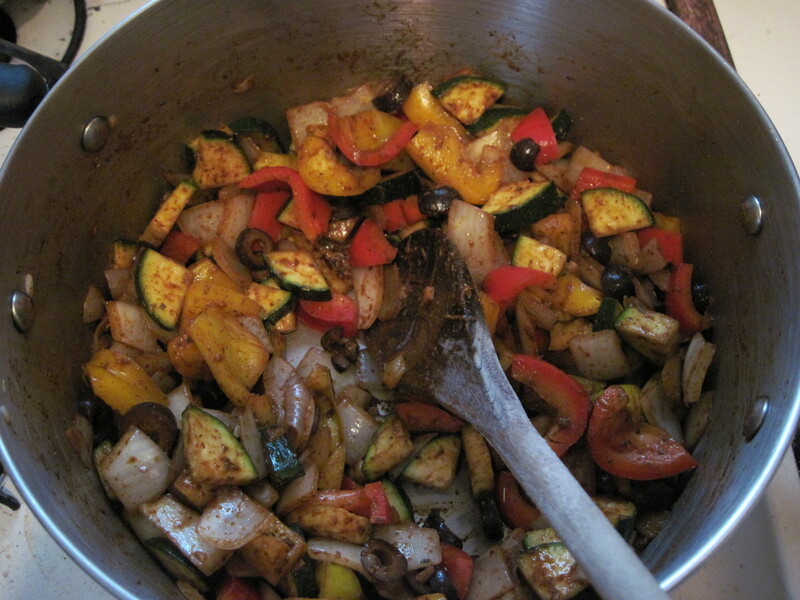 Add zucchini, bell pepper, chili powder, cumin and oregano. Stir and cook an additional 5 minutes. 3. 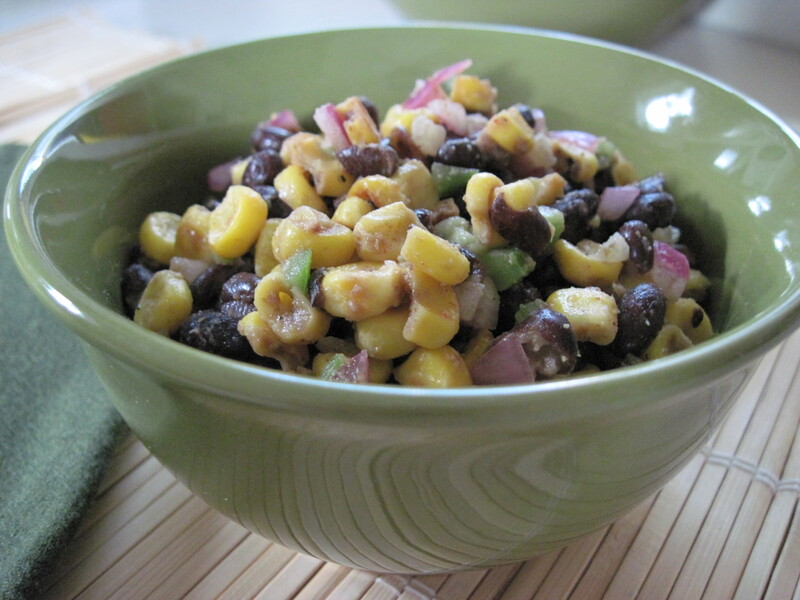 Stir in beans, tomato puree and corn. Cook for 1 minute. 4. Mix cold water and flour and add to vegetable mixture. Cook 3 minutes; sauce will thicken slightly. 6. Preheat oven to 375ºF. 7. Bring 2 cups of water to boil. 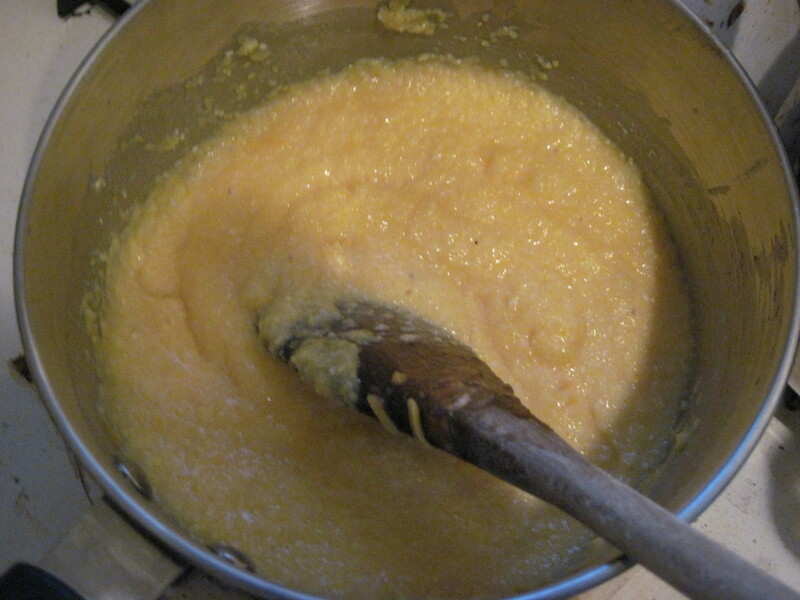 Stir in polenta and simmer on medium-high heat for 5 minutes. 8. Remove from heat and stir in cheddar cheese. 9. Coat 9×13″ casserole dish with cooking spray. 10. Spread vegetable filling into dish. 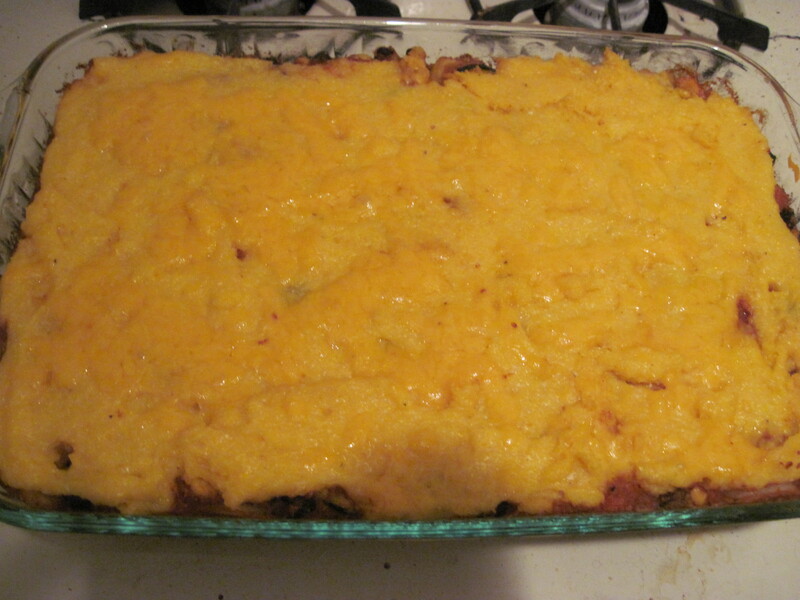 Spread polenta topping evenly on top, making sure it touches the edges. 11. Bake 30 minutes. 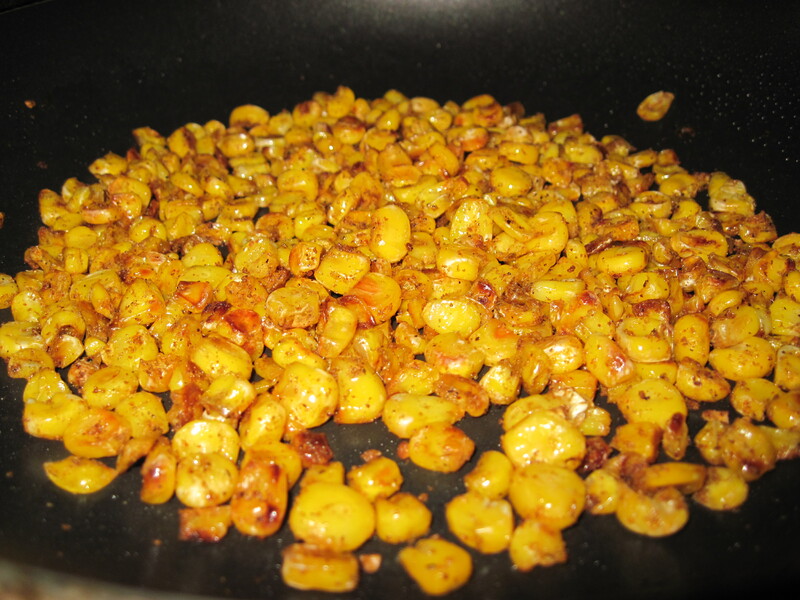 The filling should bubble slightly and the top will become golden brown. 12. Let stand 5 minutes or more and serve. 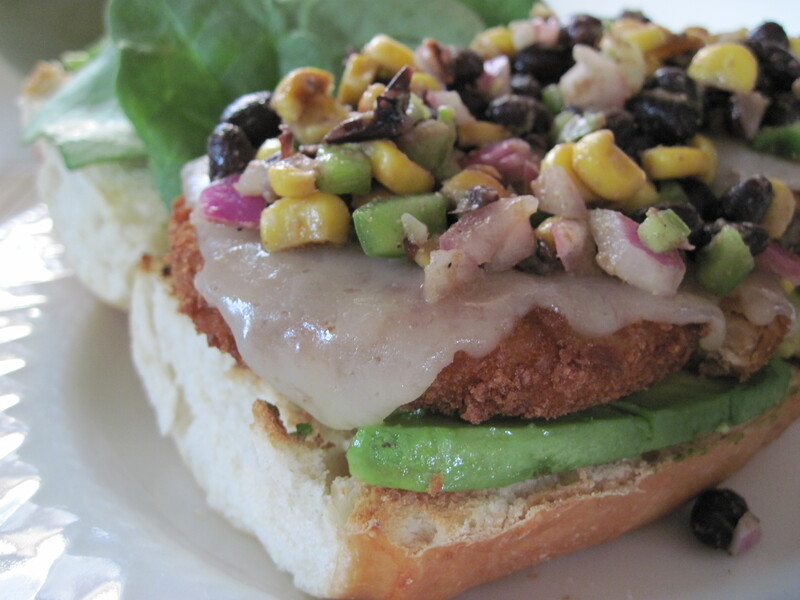 Serve with fresh salad greens, avocado and sour cream.